I really now do understand why there are huge guidebooks that are printed just for travel to Hawaii. We saw so much on O’ahu that I can honestly say it’d be easy to take a week or more for each of the islands. There’s just so much to do and see it’s really quite insane. The first day Stephen and I arrived in Hawaii we decided to skip all of that though, instead opting to hit the grocery store and have a major cook out feast at our friend Dan’s place in Kaneohe (overlook pic of the city is to the right) and just kick back and take it easy. And while I expected groceries to cost a bit more in Hawaii due to shipping costs, I certainly felt the sticker shock of the $230 bill for one meal and breakfast for the following couple of days. But, oh my friends, it was oh so worth it. We gorged ourselves and just sat back on the veranda and relaxed the night away with some great local brews from the Kona Brewery. And this quickly became a favorite way to end each day, and even start some mornings, minus the beers, since the temp always hovered between 70 and 80F. We also enjoyed cruising many beaches, including Kailua, Waikiki and Hanauma. Stephen and Dan braved the waves and jumped in a few times, but since I’m not much of a swimmer I just opted to lay on the towel in the shade and check out the beach eye candy. Probably the biggest tourist attraction on O’ahu is Pearl Harbor. The Bowfin Submarine (aka The Pearl Harbor Avenger), the U.S.S. Missouri, and the U.S.S. 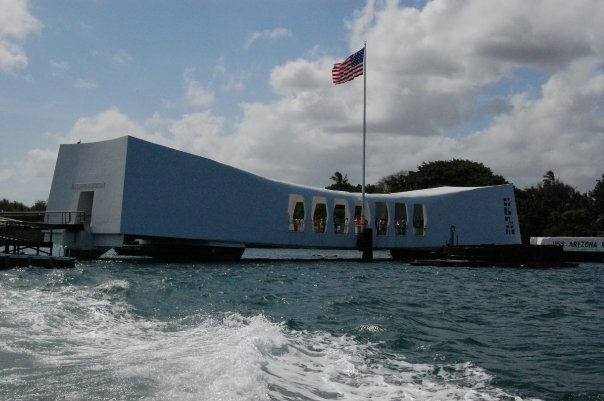 Arizona Memorial, as well as a few museums, are all right in one place and easily visited with one ticket, or none at all in the case of the Arizona. It seemed to me that we went pretty quickly through the museums and the Bowfin, but we still spent a good half day at Pearl Harbor. If you were truly a history buff then it’d be no problem to spend a solid day, if not even two, visiting all of the sites, watching the movies, and touring the museums. And while I wish we would’ve slowed down a bit at points and seen more, like the museum at the Bowfin and the Arizona a bit more too, I was happy with the time we spent visiting the site. My favorite part of our tour was the U.S.S. Missouri. I was totally surprised by this, since I initially thought it’d be the Arizona Memorial, but was absolutely enthralled with being on a battleship and seeing the spot on the deck where the Japanese surrendered to the Allies to end World War II. Don’t get me wrong though, I thought everything we saw in the harbor was incredibly interesting, but the Missouri really overwhelmed me. The U.S.S. Arizona was something I had seen in pictures for so long, totally prepared for what I saw there, and it really wasn’t too different in person. And I still felt a great sense of patriotism and pride in the sacrifice the men on board unfortunately made. 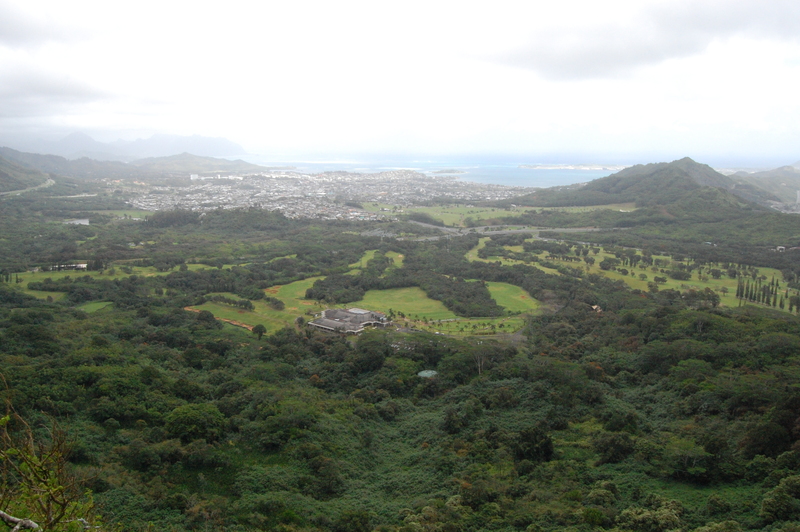 It was a great honor to visit the site, as well as the Punchbowl Cemetery, and am happy I did it. 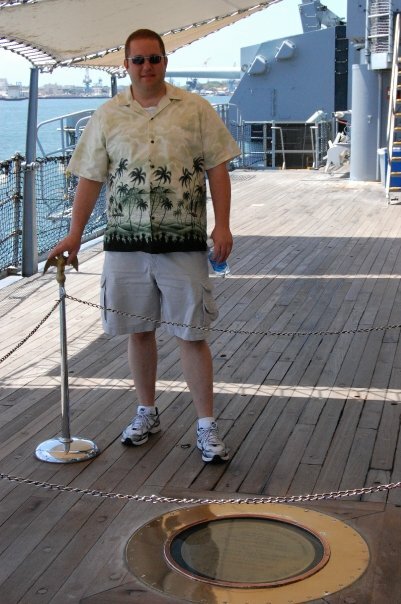 I highly recommend the whole Pearl Harbor tour for anyone visiting Hawaii. 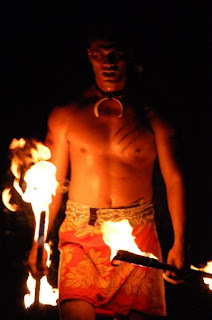 The Polynesian Cultural Center, which we toured on our first full day on the island, was also quite interesting. We were able to learn about all of the different Polynesian cultures, from New Zealand to Hawaii and what differentiates them from each other. We took in a luau dinner, earth roasted pig and all, along with the dance performance that followed. And while I certainly enjoyed my fair share of the buffet dinner, the show is what transfixed me. The dancing was amazing, despite a few noticeable mistakes and drops here and there, and it was really well done by the students of BYU Hawaii. I would say this is a must do for anyone visiting the Hawaiian islands as well. After all, you can visit a beach, and probably for much cheaper, in so many other places in the United States. Whileyou’re in Hawaii you should at least learn a bit about the culture and what differentiates them from us mainlanders. On our final full day on the island we did quite a bit of driving, seeing different spots on the island that we hadn’t seen yet, and visited the Dole Pineapple Plantation up in the mountains. It was really quite touristy, with a very lame garden tour and train ride, but well worth the long drive just to get some pineapple flavored soft serve ice cream with fresh cut pineapple. It was absolutely delicious and a great way to spend an afternoon relaxing in the Hawaiian sun. I know I’ll do a lot of things differently the next time I visit Hawaii after doing this trip. For one, I’ll go to a different island. I understand that, although similar in many ways, each island is very different and has so much to offer. So I’d like to go to another one, more than likely the big island, and see what’s there. I’ll also make it a point to take in more wildlife, a favorite travel hobby of mine. 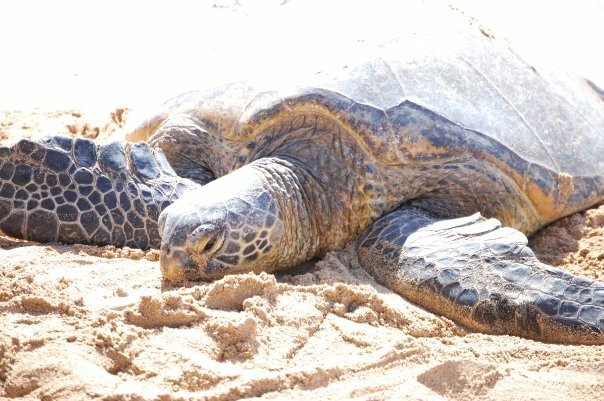 We saw some sea turtles on the north shore on this trip, but I wished we had done more, like whale watching, but unfortunately there just wasn’t enough time. Really though, I could go on and on with the list of what else I’d do next time. We saw so much and had such a great time, but there’s just so much more to see and do and I’d love to get back over and do as much as possible. But, right now, New York City is up next on the agenda, so I can’t plan another Hawaiian escape quite yet. I just hope in NYC I can find such great friends to share good BBQ with as a send off to the holiday.